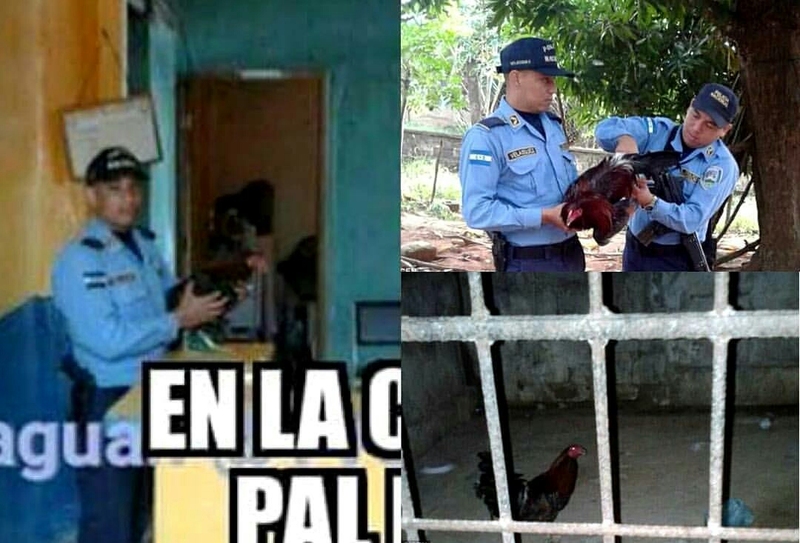 A rooster has been put behind bars at a jail in Honduras. The bird was incarcerated after its owner got into a row with another man in the city of Trujillo in the northern Honduran department of Colon. . According to the unnamed man, the rooster had broken into his field, climbed trees and disturbed him with its loud cries. When he warned he would stop the cockerel making the noise by force, its owner reportedly threatened him: "If you kick the rooster I will kill you." . An angry argument ensued and neighbours called police, fearing the men were about to hurt or even kill each other. Cunning officials who responded to the call decided to send the rooster to jail, because it was he who had caused the problem, promising to free him only when the men reached an agreement.